Gool Mohamed Khan had a great zeal and fervor for learning more about Islam and other religions. He devoted a considerable amount of time increasing his religious knowledge by reading and educating himself. He appeared to have enjoyed reveling in discussions and debates. 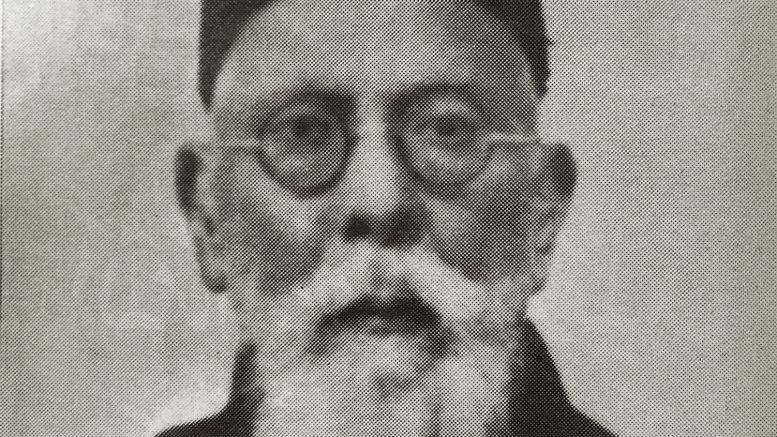 He became a champion of the early Muslim Community of Guyana defending the Muslim faith in the 1870s. 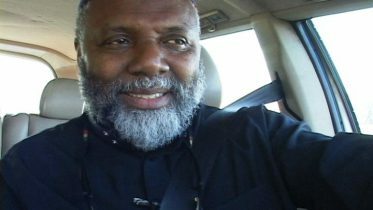 In this extract from the third edition of his leaflet Unity V Trinity he describes the circumstances which led him to become the first known person in Guyana to defend the belief and practices of Muslims against agressive prostelyzation by Christian Missionaries. I consider it advisable to give a brief history of my birth place and nationality and the cause that prompted me to write this pamphlet. I was born in the year 1853 in a small village of Moorni of the Nasruddin Khel tribe in the District of Dir, and after receiving my education in various mosques and schools, at the age of sixteen, I passed my examination in Arabic i.e. in Fiqa, Sirf and Naho. I started from Afghanistan on the 14th February 1869 (when Amir Sheeralikhan came to India to meet the Viceroy at Ambala) and came to India to induce my brother who was at that time residing in Jaroa State, Rajputana; to accompany me back home as my mother was very anxious to see him. I completed the journey in 54 days on foot as there were no railways or any other means of conveyance at that time. I stayed four years in India, partly with my brother and partly in the service of the Prince. On hearing the death of my beloving mother I returned to Afghanistan alone in 1873 having failed in my mission. I left Afghanistan again for India and joined the British Regiment in August 1874 where besides other practices I learnt Urdu, Nagri and Mathematics. I resigned from the regiment and came to British Guiana, S. America, the supposed El Dorado of all emigrants at that time. I arrived in Guiana on 11th May 1877 and whilst waiting to be drafted to some batch for the sugar plantation, it happened that the Deputy Inspector General of Police, Mr. Payne, was passing by the Depot, when I saluted him as I took him to be an officer. He drew his horse and put some questions to me in English, which I was unable to answer; an interpreter was called in and I was asked if I would join the Police Force. I readily consented as I had learnt to my cost that the supposed El Dorado existed only in air not even in paper. I was guided by other European Police officers for six months. Fortunately I was able to pick up a little English as much to enable me to perform my duties. It was just a paradox for an Afghan to learn English in those days. One day whilst I was on duty a gentleman (who I subsequently learnt was Reverend Darnell, a priest of Christ Church) asked me if I would give him lessons in Nagri. I agreed provided he taught me English in return. The pact was signed and we were both master and pupil during our respective periods. Rev. Why do you not attend Church? I. I have no interest in Church. Rev. Are you not a Christian? Rev. Then you are a Mohamadan? Rev. It is a pity that an intelligent man like ou should remain in the dark. Do you think that your Arabian Prophet (Peace be upon him) was a true Prophet? I. I do not think, but believe it. Rev. Now put it to your conscience that he allowed his followers not to keep more than four wives, while he himself had eleven wives; furthermore he took Zainab, daughter-in-law, the wife of Zaid, his son. Was that becoming of him? Unfortunately I had no knowledge of Islamic History, and could not give him any reply; meanwhile he gave me a book, which was written by Reverend Founder who had a long argument with Rahimullah Rarani and Dr. Wazeer Khan at Agra, in 1848. In that book he pretended to say that the Holy Quran was not a divine book, being contradictory, as one verse was quite different in meaning from another. I however discontinued going there, and tried to get Tafseer of Quran, and secured one, which was old and partly worn out. I wrote to one of my friends, Moulvi Nouman Saheb of Unao, asking him to send me some literature on Islamic history and Tafseer. 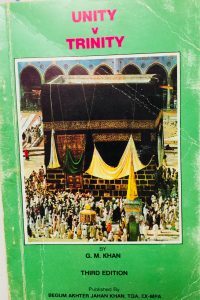 In the meantime, the perusal of the book lent by Reverend Darnell had such an impression on me that had I not had a sound belief in Islam, I would have changed my religion. Rev. Where have you been for the last six months, and have you read my book? Rev. Do you appreciate my book? I. No, since it was all falsely quoted. Rev. Do you know the author? I. I don’t know him, but all that he has said is false and there is no truth in it, as he has picked up part of verses which suited his purpose and left out the rest sentence which if read the meaning became quite clear, and those were questions cleared up by traditionists, and Mufassareens. Moreover, as regards Zaid and Zainab, Zaid was a captured war prisoner, who was made a slave as was the rule of Arabia, was bought and given to our Prophet (Peace be upon him). As he was the first Muslim in salves, he was called an adopted son, and in one way we are all adopted sons of our Prophet (Peace be upon him), also no Islamic law recognizes an adopted son as a son. Zainab, who was a cousin of the Prophet (Peace be upon him), was married by his (Prophet’s) consent to Zaid. After Zainab learnt that he was once a slave, she disliked him and was always on bad terms with him, of which Zaid was disgusted. He (Zaid) complained of the matter several times to the Prophet (Peace be upon him), who told him to have patience. But when she (Zainab) repeatedly troubled him, Zaid begged the Prophet (Peace be upon him) saying that he was disgusted of such life, and could not bear it any further, so the only remedy was divorce, and Zaid divorced her with the Prophet’s permission. (Regarding the eleven wives of the Prophet (Peace be upon him) etc, there was no law in Arabia in limitation of wives, nor were any in the Bible, as from Abraham to Moses, David, Solomon, and others, who had not two or more, but had hundreds and were not prohibited. Otherwise, the Creator would have ordered them to abide by the law of limitation. It was only done so in the Quran, which has fixed the limit of four wives in the event of need. But what answer will you (Rev. Darnell) give to the question, regarding Abraham and Sarah, in Genesis Chapter 12, Verses 11 to 20, when both of them took oath by God, Sarah took the oath that she (Sarah) was his sister, and Abraham took an oath that he was her brother, not once but thrice and repeatedly, before Pharaoh. And it was from Sarah that Isaac was born. The forefather of Israel, would you call him illegitimate? And what would you say about Judah: of what he had done to his daughter-in-law, from whom he had two sons, Genesis, Chapter 38, Verse 8, to the last Chapter? To which Rev. Darnell replied, “Thou Muslims have stone hearts, which will never melt and which nothing effect”. I said, “Ameen”, and departed from him forever. I found an interest in the argument, and in a short time, I collected over a hundred books, and pamphlets of different religions. I resigned from the Police Force in September 1879, and started my own business, but I was so deeply engrossed that I was always inclined to have an argument with some one, whether Hindu, Christian, or any one, but the result was creating more bad feeling than benefit. I afterwards discontinued it but still now and then, when my presence was necessary, I used to go and help my Muslim brethren. Rev. Jemmett. Hagar (Hajra) the wife of Abraham was a slave, and therefore Ishmael (Ismail) was not the lawful son of Abraham. I. Is it a history of the Bible? And hence he cannot be prophet. Is the whole Bible an inspired book? Rev. Jemmett. Well then produce the true Bible. I. I do not need the Bible, as long as I have the Holy Quran, and all the true history of the Bible is contained therein, therefore we have no need of the Bible. It is your business to produce the true Bible, or to prove if the present Bible which you hold is the true one. Rev. Jemmett. I confidently believe it to be true, and if you think it is false, show me the contradictory points. I. Before I go further I ask if the five books of Moses (Genesis to Deuteronomy) are true? Rev. Jemmett. Yes, they are true. I. How could Moses say about his own death and burial, as mentioned in Deuteronomy Chapter 34, Verse 5, “So Moses the servant of the Lord, died there in the land of Moab, according to the word of the Lord”. Verse 6, “And he buried himself in the valley of the land of Moab, over against Beth-pear, but no man knoweth of his sepulchre unto this day”. Verse 7, “And Moses was an hundred and twenty years old, when he died, his eyes were not dim, nor his natural forces abated”. Verse 8, “And the children of Israel wept for Moses, in the plain of Moab, thirty days, etc, etc,”. Can this be true? Rev. Jemmett. This Chapter was written by Joshua, it was added to the last book of Moses, by an error of the translators. I. Why was it not then corrected? Before I could ask him any more questions, he arose and said that he had an appointment at two o’clock. I told him, that he (Rev.Jemmett) had called us from town for an argument, to which he did not give a reply. The people shouted that the priest had lost. And we were the winners by two converts to Islam. The next day it appeared in the papers, that the argument between the Muslims, and Rev. Jemmett, which remained unfinished, will be held again after a month. Some European friends of mine asked me if they could be allowed to hear the arguments. I replied, that on my part I had no objection, only if the Reverend gentleman agrees. After a month I wrote a letter reminding him of his promise, and asked him when the arguments were to take place. He then came down to Georgetown, and told me to continue the arguments. Firstly, mainly on salvation, and no other books, were to be quoted, excepting the Quran and the Bible. Secondly, only five Mahomadans and five Christians were to be allowed. I consented to the first, as to the second, I said not more Mahomadans, but more Christian hearers must be allowed. He asked me if they were Europeans. I said, “Yes”. He said that he does not want them, whereupon I told him, that I was not insistent, but wished to get a letter from him that I may show it to those who wanted to come, that the refusal was on his part, and not on mine. However he did not appear to the promised day. I wrote him. The reply was that he feared there would be a row. Notwithstanding I assured him that I would get some Police Officers, and would provide some other securities. I also wired him again, that if he was unable to come, we would go to his place, which was also refused. In 1904 a person by the name of James Phillips (born in Trinidad, and who was taught by a Catechist) was employed in my firm as a clerk. At that time I instructed him that I would not allow him or any one to have any argument in a business place to which he consented. He used to borrow books from me, now and then, to read, and shortly after he resigned and embraced Islam, and went out preaching Unity against Trinity here and there. The matter was reported to one Rev. Wilson Ward, who had a little knowledge of Arabic and Nagri and who challenged him (the said James Phillips) and others to have an argument. As he had not the education and thorough knowledge of the Holy Quran, he asked one Abdul Wahab, also a convert to Islam who was a Gore Brahmin of Delhi (educated in English, Sanskrit and Persian) to plead for him, so that I may go along with them. I had practically withdrawn from arguments; however myself and a few European friends went to a plantation, Windsor Forest, and there I saw a large congregation of all nationalities, more than a thousand; gathered with the object of hearing the argument. I had a firm belief that he (the priest) would observe the rule which is general, that there would be no kind of insulting, or harsh words, and all the arguments will be fair minded, but I was mistaken as he the Rev. Ward began by saying that his presence there was cause of a person, who bore a Christian name for the sake of making living (although Phillips was a Christian from childhood, brought up in the orphanage), and practised Christianity by preaching as a Catechist. But he (the priest) will now prove the Trinity not only from Bible but also from the Quran. He started the argument by stating you say, “Nahno Naquosso Ana Inna Lahoo Hafizoon”, and then went so far as to use some harsh language about our Prophet (Peace be upon him), and brought up the question of Zaid and Zainab. I told him that it was not suitable for a person of his position to use such a language to hurt the hearts of his hearers. The reply to which was, “This is my habit of speaking”. I replied that if it is so, he would expect the same from us. I however kept silent until he had finished, then I told him, “if you take the Quran to support Trinity (which is void) and all that you have said, you can prove it from the Quran, then I shall quote you from the Quran, in which Christ said, (Sura Al-Maidah, Verse 116) “When Allah will say, O Jesus, son of Mary, did you say to men, take me and my mother for two Gods, besides Allah, ‘He will say’, Glory be to Thee, It did not befit me that I should say what I had no right to (say), if I had said Thou wouldst indeed have known it. Thou knowest what is in my mind, and I do not know what is in Thy mind. Surely Thou art the Great Knower, of the Unseen Things”. Verse 117, ‘l did not say to them, aught save that Thou didst enjoin me with, That serve Allah, my Lord, and your Lord, and I was a witness to them so long as I was among them. But when Thou didst cause me to die, Thou wert the watcher over them, and Thou art Witness of all things, if Thou shalt chastise them, then surely they are Thy servants, and if Thou shalt forgive them then Thou are the Mighty and Wise’. Sura Al-Maidah, Verse 72, And the Messiah said, ‘O Children of Israel, serve Allah, my Lord, and your Lord. Surely whoever associates (others) with Allah, then Allah has forbidden him the garden, and his abode is the fire, and there shall be no helpers for the unjust’. And again in Sura Al-Maidah, Verse 75, The Messiah, son of Mary is but an Apostle; Apostles before him have indeed passed away; and his mother was a truthful woman; they both used to eat food. See how we make the communications clear to them, then behold how they are turned away”. The one of Rev. Ward’s Catechists got up and said that the Quran is liar; of course the people could not bear it any longer, and thereupon rose and there was a certainty of a row. I advised Rev. Ward, and told him the best thing would be for him to leave at once. I even conducted him to the door. Fortunately the same day there were four converted to Islam, two Hindus and two Christians. We (Reverend Ward and myself, with other friends) returned together to town, in the same steamer. On the way the Captain asked me the result, I told him to ask the Reverend gentleman, on which he said he would have an argument again. I asked him, “where”? And he said, “where ever you please”. I said, “in Georgetown, at the Muslims school”, and it was settled. The following day, the Rev. Ward, published in the Daily Chronicle, that he went to Windsor Forest, for the purpose of argument with Mahomadans and I was his rival amongst others, the argument was not completed, and was postponed for a month, and the result was four converts to Christianity, who will be baptized in the City Cathedral (which was the reverse of the truth). I sent a reply to the same paper (Daily Chronicle) saying that the statement published by the Rev. Ward was untrue stating that there were four converts to Christianity, but on the reverse the result was the conversion of four persons to Islam, and I gave their respective names, and if there was any truth let the Reverend gentleman produce the names of the four converts, also no arguments took place, but instead harsh and insulting words were used. Thereupon the Editor made an excuse, and said that as it was a religious matter, he was sorry, he could not publish it in the papers, although I told the Editor that the article of the Reverend was also a religious matter, but the result was silence. Then I had a leaflet printed, and in which I quoted verses of Unity, the power of Christ, as a human being, etc. from the Bible and the New Testament, which was distributed amongst those who desired it. Some of these reached the Christian priests and to soothe their congregations, they took pain explain it in their own way to them. I am thankful to the Great Creator that the result of the tract has been very beneficial, and has been the cause of the stabilization of Islam, the building of many a mosque, and the burial ground of the Muslims, in British Guiana. The object of printing this little pamphlet is to give a brief and fair idea to the readers. The tract printed before this was in reply to a letter by the Rev. Wilson Ward which appeared in the “Chronicle” of 24th June, 1904. And my reply to the same when sent to some papers, was to my great surprise refused by the Editor, thereby compelling me to have it printed in Tract form. Christian Bible for which advise I am very grateful. After perusing the Bible I take this step to make the subject of this pamphlet more clear. I hope the readers will gain some benefit from it, and at the same time excuse any defects of style as long as the sense is conveyed to you as my knowledge of English is defective.